I love all of the fresh and pretty Spring ranges popping up at the moment. I'm a huge fan of winter (unpopular choice I know!) but I also love the transition to Spring. It's like I forget about all things floral and brightly coloured and then when they pop up again it's all shiny, new and exciting. This new range of beauty accessories from Ted Baker fits does just that - opening a plain brown box to find this bright green and elegant floral packing popping out at me was just what I needed to perk me up and get me looking forward to the new season. I'm a sucker for pretty girly patterns, so my instant favourite has to be the nail files. I'm not sure if I've ever seen nail files to beautifully presented before! I know it'll be a while before I'll bring myself to actually use these as I'll want to keep them pristine and together with the pattern lined up - a little OCD I know. These are the sort of thing I'll be adding as a little extra to my friends' birthday presents this year because they're so cute and girly. As for the more serious tools in the range, I'm surprised by the prices. 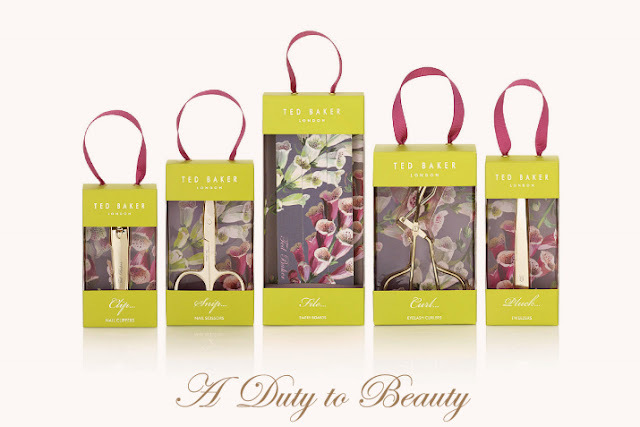 Generally tweezers and eyelash curlers in particularly aren't cheap to buy, so considering these are Ted Baker and beautifully packaged, I think the prices are a bit of a steal. I nail scissors just say 'snip' on the box - nice and to the point! I don't usually use nail scissors - I nip little straggly cuticles with my teeth, which is terrible I know, so now I have a proper tool for the job instead! They've got a really good sharp point to them too, so they can double up as a bit of a nail poking tool (technical term) too for when I'm trying to perfect a manicure. I have a bit of a confession. The eyelash curlers I've been using were £1 from Primark. I know, I know. I don't even have any excuses. All I can say is that these are 100 times better! I'm not comparing them to much I know, but I'm not much of a lash curler connoisseur. I just didn't used to bother curling my eye lashes, oh how times change! These lash curlers are really simple to use. They're nice and slim so it's easy to get them really close to the root of the lash. I'm an eyelash curling noob as I've explained, so I'm not too sure if my technique is the norm or not, but I usually give the lashes a good squeeze and then angle the lash curler further back towards me and then give it a good wiggle - that always seems to give a serious upward curl to my lashes in just a couple of seconds. 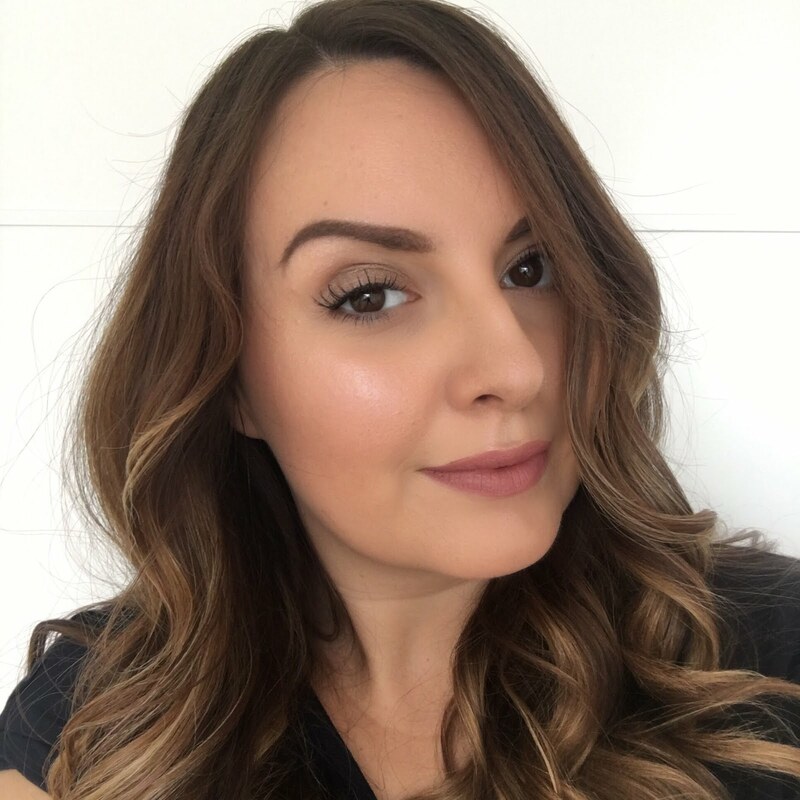 Now and again I also try an old fashioned tip my mum taught me of heating the pad of the lash curlers slightly with the hair dryer, this can also help your lashes to curl more easily and to stay curly for longer. The new beauty accessories range also includes nail clippers and tweezers which are both just £6 each. They'll all be available in Boots stores and at Boots.com very soon. I was also lucky enough to be sent another set of the lovely sweet shop style nail duos. I previously swatched cherry bomb here and now I have golden girl to play with, which as the names suggests are gold shades. The gold glitter looks perfect - I shall definitely pop these into a nail of the day / week type post as soon as I've used them. I bought these duos for a few of the girls in my office at Christmas time and they went down rather well. I'm pleased to see these are not just a Christmas product as they're a cute gift for any time of year and they'll probably be a go-to for me again next time I need a little gift for someone. What do you think of this new range from Ted Baker? Am I the only person who hasn't been curling their lashes since forever? !